Dare and satisfy your adventurous spirits with an inimitable Jungle adventure Combo, offered at our prestigious, duPlooy’s Jungle Lodge. gigantic peaks and the jungle- which is home to countless species of flora and fauna. Green Hills Butterfly Farm is one of the largest in the country, having a display of several species :2,500 live butterflies all together. A Green Hills knowledgeable site guide will take you to the display shed and give you reliable information about a butterfly’s life cycle, while pointing out various species that are unusual yet interesting. Adding to the butterflies awe, there are several humming bird feeders whereby an average of eight species have been spotted around. This site is highly recommended to photographers as it has a small ornamental garden which adds to your contentment! 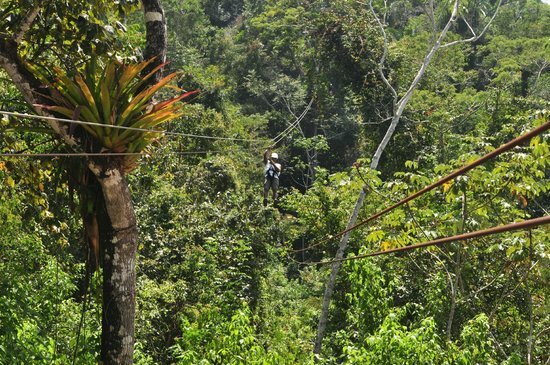 After the 45 minutes tour, find your way towards Calico Jacks Village for an unforgettable zip-lining experience. Calico Jacks is situated just 20 minutes away from Green Hills Butterfly farm and it features one of the best and safest zip-line tours that range from seven to fifteen platforms. If what you are looking for is ultimate adrenaline, then the ultimo explorer tour is highly recommended! This canopy tour features over 2700 feet of zip-lines and is comprised of 9 runs and 15 platforms, that allows you to have a bird’s eye view of the scenic jungle that is below. Barton Creek is about 30 minutes away from Zip-lining place. This water cave system is known to be one of the most exceptional and easiest in Belize, since it is accessed by canoes only. It is part of a large riverine system, whereby the natural process of the cave allows its visitors to go in for about one kilometer only. 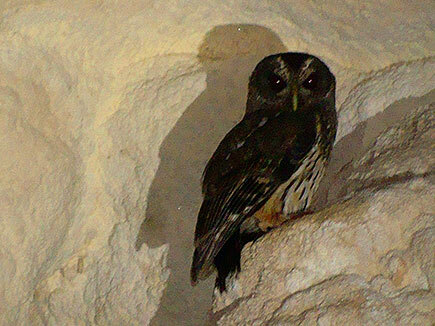 At Barton Creek, you explore the underworld of the ancient Maya sighting stalactites, stalagmites, pillars, skeletal remains, pottery remains and natural bridges that add to the mystery. As you glide your canoe deeper into cave, a duPlooy’s Expert guide keeps explaining that the main purpose of the cave was for ritual ceremonies, where fragmented pottery and human remains are the major evidences. Adventurous days on these unique beauties are hard to forget, wonderful to discover and significant to experience. Depart at 7:30 AM for a compilation of unseen hidden attractions and you should be back at home (duPlooy’s) by 4 PM with memories that will never be forgotten! 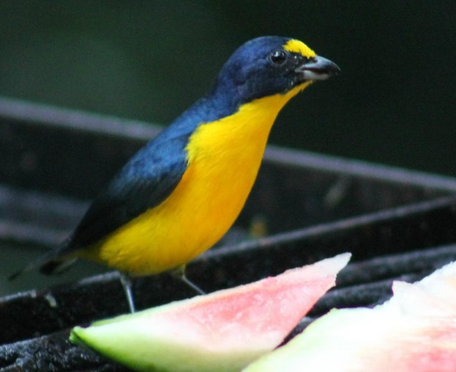 Visiting Birds are starting to arrive and Birding in Belize promises to be as great as ever this year. Come join us at duPlooy’s Jungle Lodge for a 3-day course in bird and plant ID or spend your time with one of our expert bird guides who will help you find the birds you are looking for on your list. duPlooy Travel, just a phone call or email away can help you plan your trip to Belize no matter what kind of nature-based vacation you are looking for. 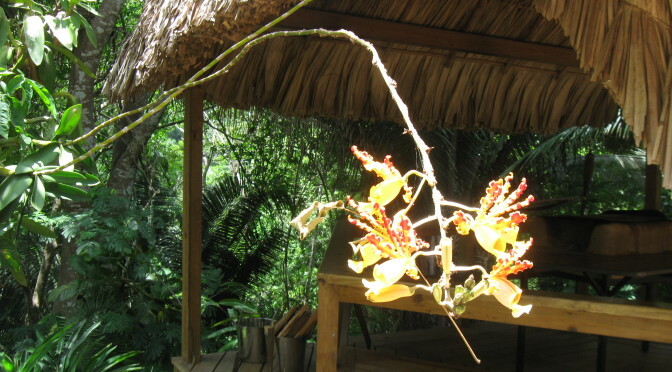 There’s no better place for Birding in Belize than duPlooy’s Jungle Lodge!